Summer time mornings are the best! The air is clear, clean and warm. Why not get out of the kitchen and cook breakfast outside on the grill? Food always seems to taste better when made on the grill and breakfast is no exception. Here are a few ideas to get you started. Use the griddle plate on the grill. One with ridges that allows the grease to flow away and collect away from the food is best. 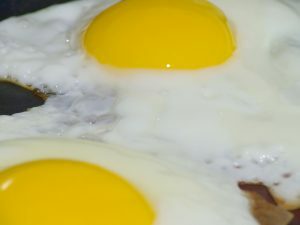 Preheat the grill and cook your bacon/sausage and eggs just as you do on the stove. Toss a slice or two of buttered bread on the griddle at the last moment and enjoy your in house breakfast cooked outdoors. Because there is grease involved watch to make sure there are no fire flareups and remove grease as necessary. Place a thin ham slices in muffin tins, and top with a mixture of beaten eggs, salt, pepper, 1/4 cup milk, chopped onions and peppers. Top with shredded cheese. Place muffin tin in aluminum pan that has about 1/4 cup of water in the bottom. Cover the pan with foil and cook on low heat until egg is set. Approximately 45 minutes. Grilling fruit is very easy to prepare but there are a few things you should do prior to placing it on the grill. First make sure your grill is clean. You do not want the left over burnt bits of last night’s dinner to be mixed with the fresh fruit you will be grilling. Firmer fruits like, pineapples, pears, apples and even bananas work best. They should be firm, fresh and solid so they will hold together will grilling. Leave the peels intact as it will also help hold the fruit together. Slice the fruit into large slices and cut the bananas in half lengthwise. After cutting the fruit soak it in water so that it will absorb as much liquid as possible and stay juicy will grilling. Completely cover the fruit in cold water and add 1 teaspoon of pure lemon juice to the water to help the fruit retain its natural color. Let the fruit soak for 30 minutes adding ice as needed to keep the water cold. Adding spices such as cinnamon to the water gives the fruit a touch of spice flavoring. Drain the fruit and coat lightly with a mild oil or melted butter to keep it from sticking to the grates. You can also add spices such as ginger, nutmeg, allspice or cloves to the melted butter prior to coating the fruit to spice it up some more. Grill the fruit, on a preheated grill, on medium heat. Grill the fruit till heated through and it has the look of lightly grilled food. Remove from heat and serve warm. Now that you know how easy it is to make breakfast on the grill. Get out the grill and start your day outside with a meal in the fresh morning air. Please visit grills to find more fun recipes and to learn about tips and tricks for electric grills visit electric grills. 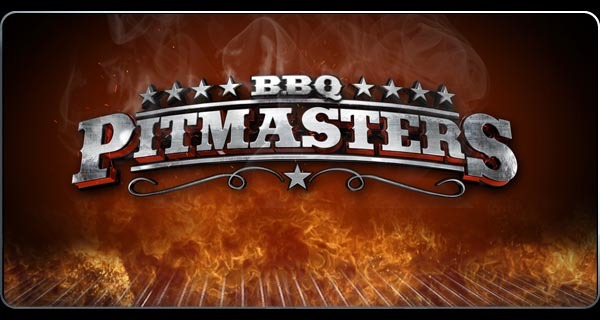 Summer is here and its time to enjoy your grill! 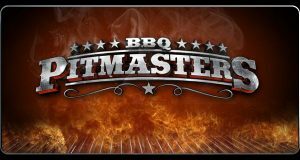 The TLC Show BBQ Pitmasters looks like a blast… They Just released the entire season on … But here’s a quick clip that’savailable on YouTube plus a link to an entire Barbecue Pitmasters episode. The show features Myron Mixon and other fantastic cookers.